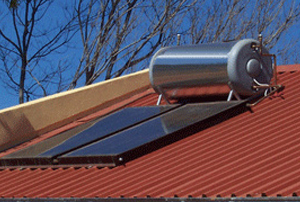 Are you an Solar Geyser provider? 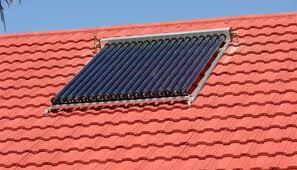 Thousands of people search the Internet for reliable Solar Geyser Companies on a daily basis. Jhb.solarcrystal.co.za now offers you direct access to a stream of clients in your area eagerly waiting for Solar Geyser Quotes from Solar Geyser Companies like yours. Join Jhb.solarcrystal.co.za’s provider team and we will send you Solar Geyser Leads directly to your inbox, fresh and hot. Jhb.solarcrystal.co.za is a member of one of South Africa’s leading quote based lead generation companies, Quickleads.co.za. Our network of Quote Request Websites currently generates over 1300 leads a month, with over 15000 unique page views. Join Jhb.solarcrystal.co.za today and get real results. Unlike most other lead generation companies, our leads NEVER go out to more than 4 companies at a time, giving both you and the clients an optimal experience. Leads give a Better Return on Investment when compared to Pay Per Click advertising or other bespoke marketing approaches. Solar Geyser companies have started to realize that the Return on Investment (ROI) on Google Adwords is no longer viable. Cost per click is increasing, and competition is getting very intense. Using our considerable resources and our Google Partner status we are able to continually optimise our marketing campaigns, as well as seek out new and innovative marketing approaches such as leveraging social media, allowing us to reduce our costs for advertising online. We are then able to pass these savings on to you, giving you guaranteed leads, with a strict maximum cost that you will pay per month. Our packages are very low risk, because we have no lock in contracts. All we ever need from you should you feel our leads are not working for you is a single month’s notice of cancellation. Try us today and see for yourself. Unique Page Views This Month!